splashbacks for a luxurious touch of colour. Kitchen and bathroom glass splashbacks are gaining in popularity because of all of the benefits. It can be a great way to keep the walls clean, while adding impressive aesthetics at the same time. Choose a bespoke design with colours that fit the general feel of the room. Apart from their decorative function, glass splashbacks are a hygienic and inexpensive way of keeping your cooking areas clean and aesthetic. 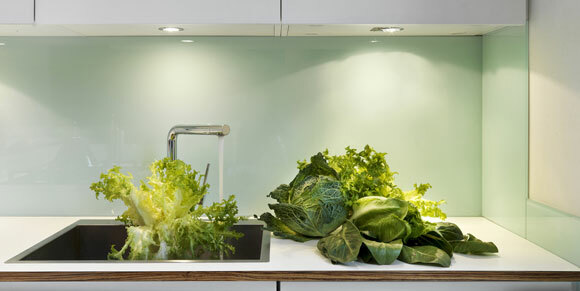 At Glassplan, we cut splashbacks to size according to the precise requirements of our customers. 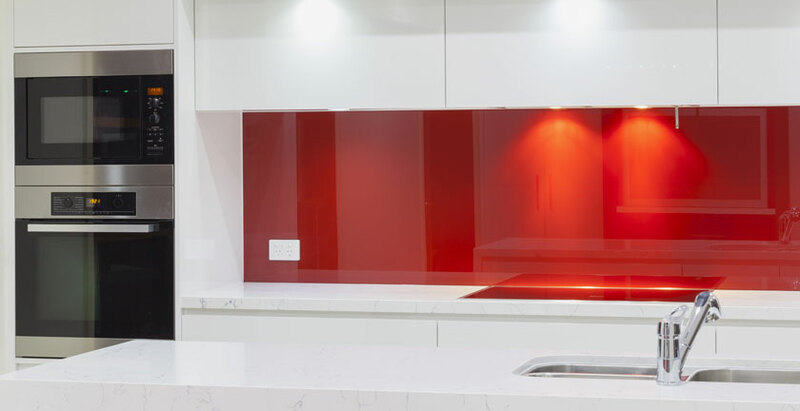 Made from toughened glass, our splashbacks are available in thicknesses ranging from 4 to 19 mm, making them ideal for installation near hot zones such as gas hobs, ovens and kettles, or in demanding areas of the kitchen where the walls can easily get bumped. They can be finished to any colour, print or pattern without compromising on their heat, scratch and impact resistance. Easy to maintain, they make a great addition to any type of kitchen, so why not consider using splashbacks as a way of revitalising your kitchen? 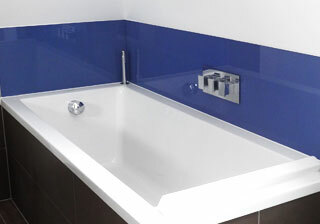 As well as kitchens, our bespoke splashbacks are also perfect for almost any style of shower room or bathroom. Easy to maintain and wipe, they are a beautiful, neat and easy solution. 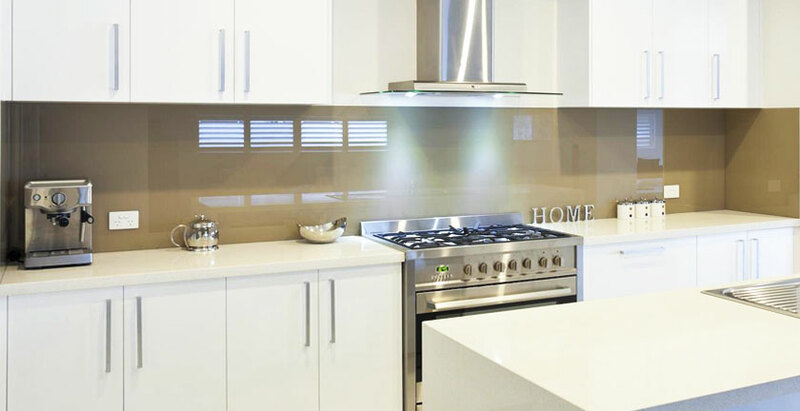 Make a splash with our glass splashbacks that are customised to what you desire, including design, colours, and more. Add a stylish and contemporary look to your bathroom or kitchen with splashbacks that are available in many stunning colours and designs. It’s a great way to upgrade the look without spending a lot of money. Our design team will help you select a style that works for your home or business.